Bay Medical Sacred Heart in Pananma City was badly damaged by Hurricane Michael. 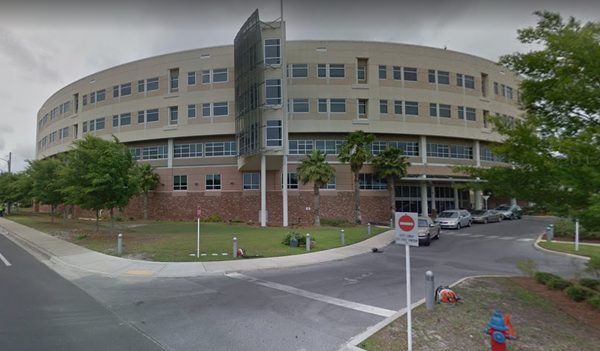 A large number of layoffs are in the works at a Florida Panhandle hospital that was badly damaged by Hurricane Michael. In a letter sent to employees Monday, CEO Scott Campbell said Panama City's Bay Medical Sacred Heart will re-open at about one quarter of its previous size and adjust staffing "accordingly." The News Herald reports the hospital plans to open early next year with eight operating rooms, five cardiac catheterization labs and 75 in-patient beds. It had 323 beds before the Oct. 10 storm. Ardent Health Services, which operates Bay Medical, said in a statement that laid-off employees will be paid through Feb. 4. Ardent and Ascension Sacred Heart say they're committed to hiring as many affected employees as possible at other hospitals. They're planning a hiring event soon.